There are some delicious Keurig Kcups on sale this week! 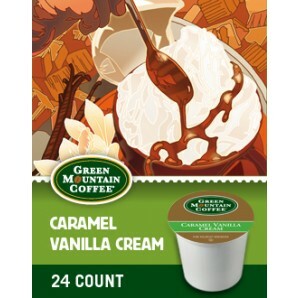 Green Mountain Caramel Vanilla Cream Keurig Kcup coffee is A light roast, flavored Kcup coffee with a traditional French Vanilla flavor taken up a notch by the addition of buttery caramel and hints of brown sugar!- $11.99 per box of 24! 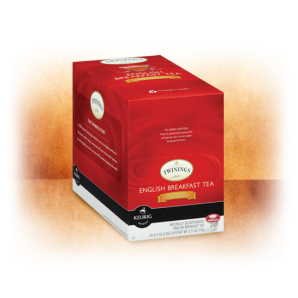 Twinings English Breakfast Keurig Kcup tea is a rich, satisfying and robust Keurig K-cup tea, blended with Kenyan & Assam black teas. – $9.99 per box of 24! Dont forget shipping is always free on orders over $59.00!